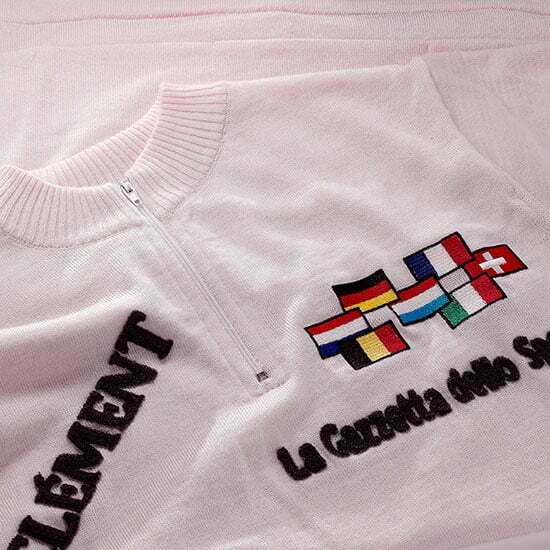 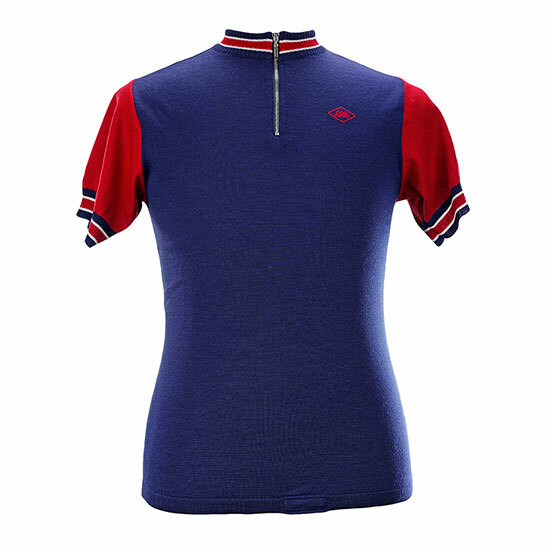 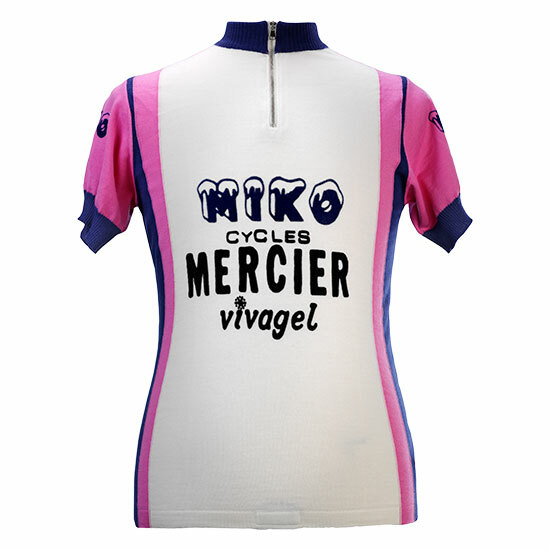 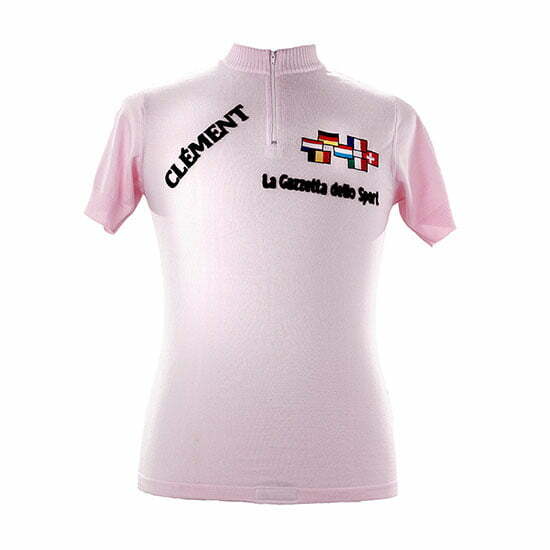 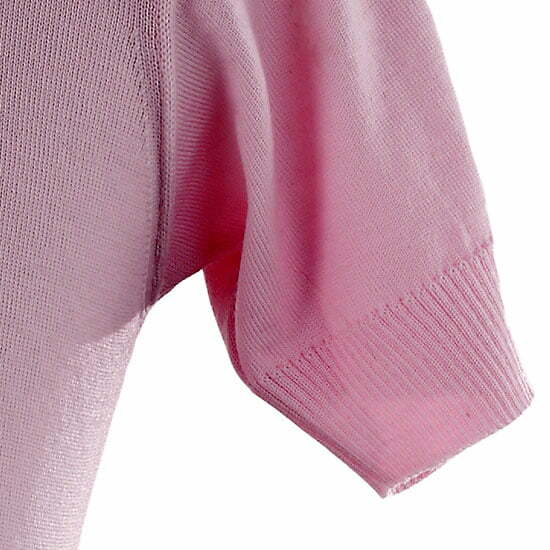 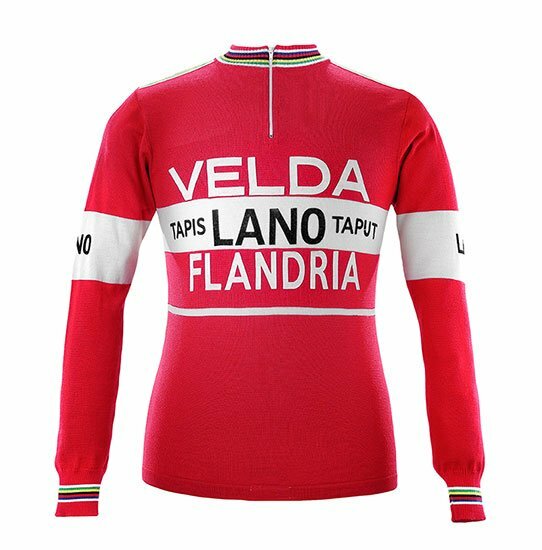 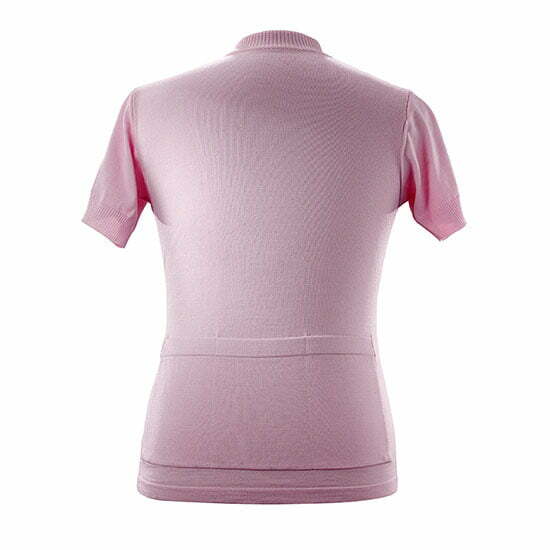 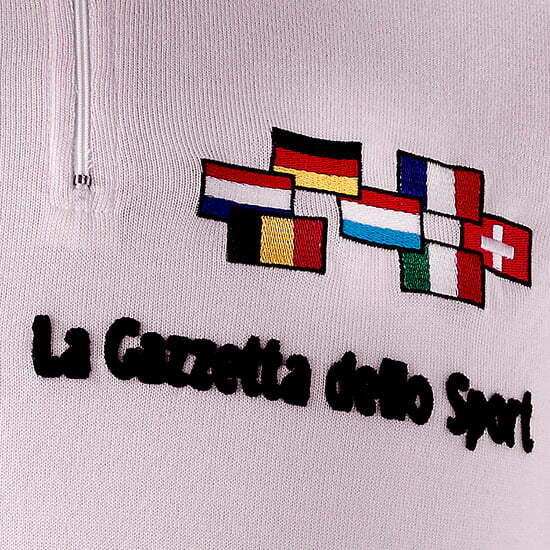 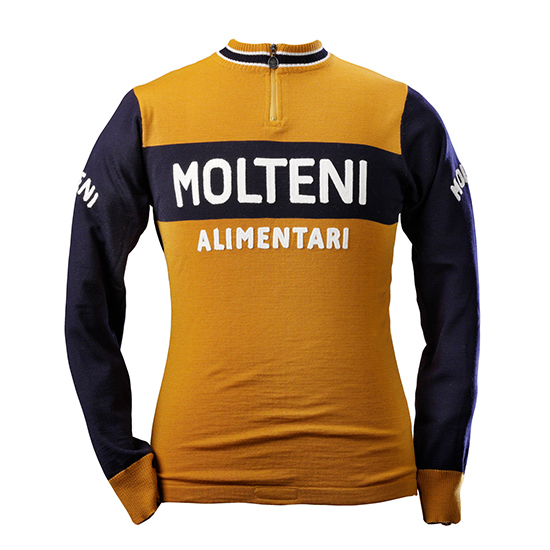 This very beautiful pink jersey with the national flags of all participants was worn by Eddy Merckx during the 1973 Giro. 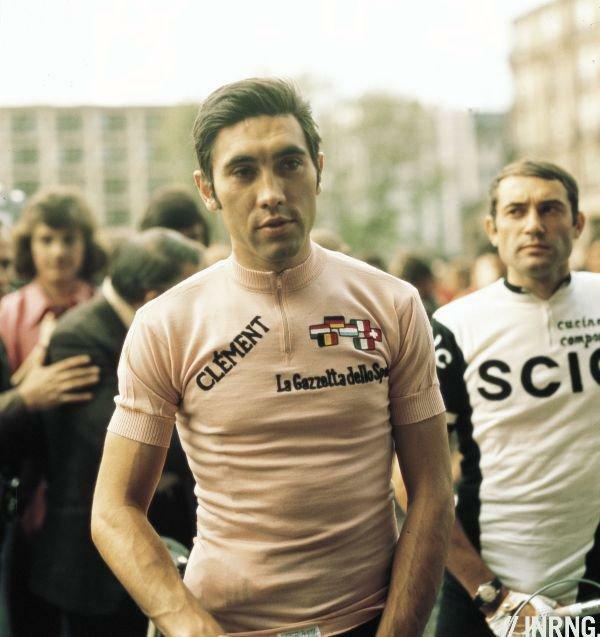 It was a very successful Giro for the Cannibale as he won with more than 7 minutes ahead of Gimondi, triumphed in 6 stages, and even took the points classification. 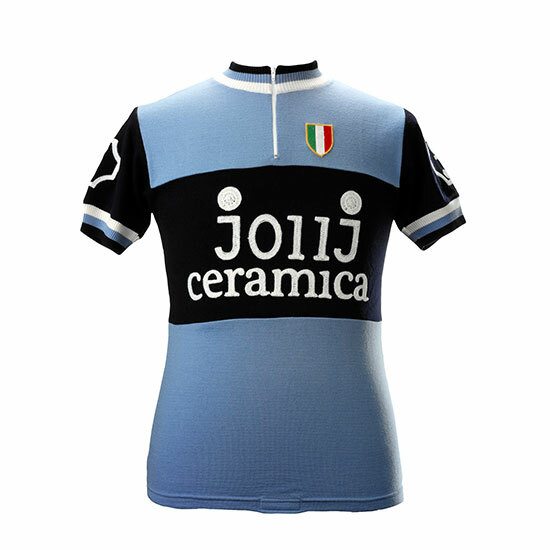 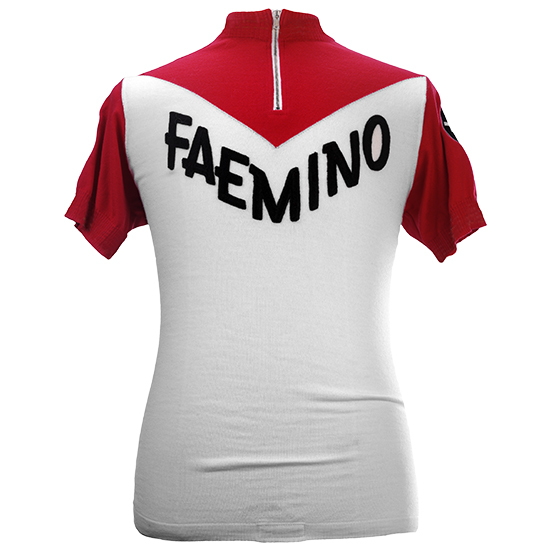 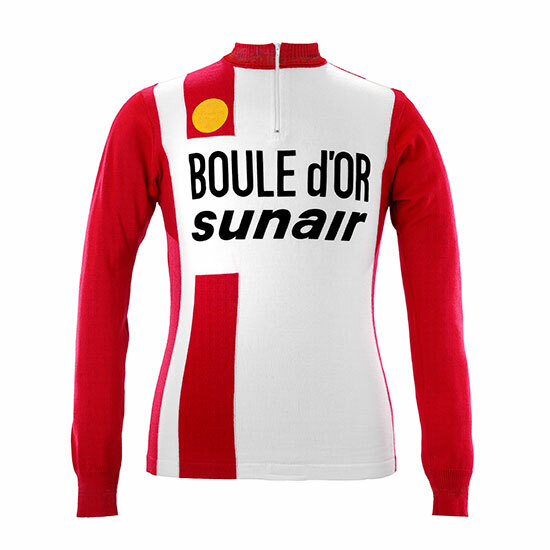 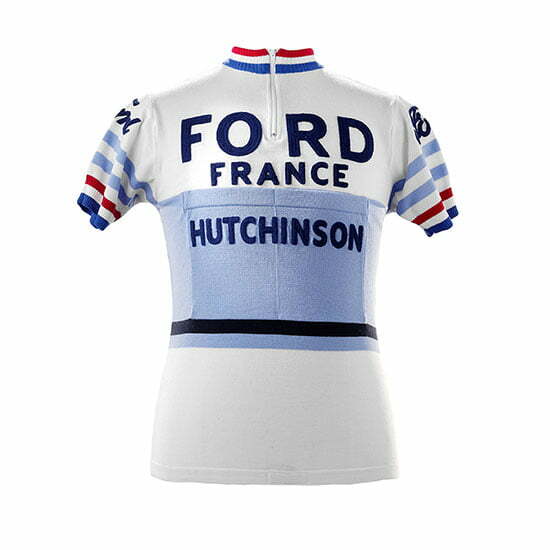 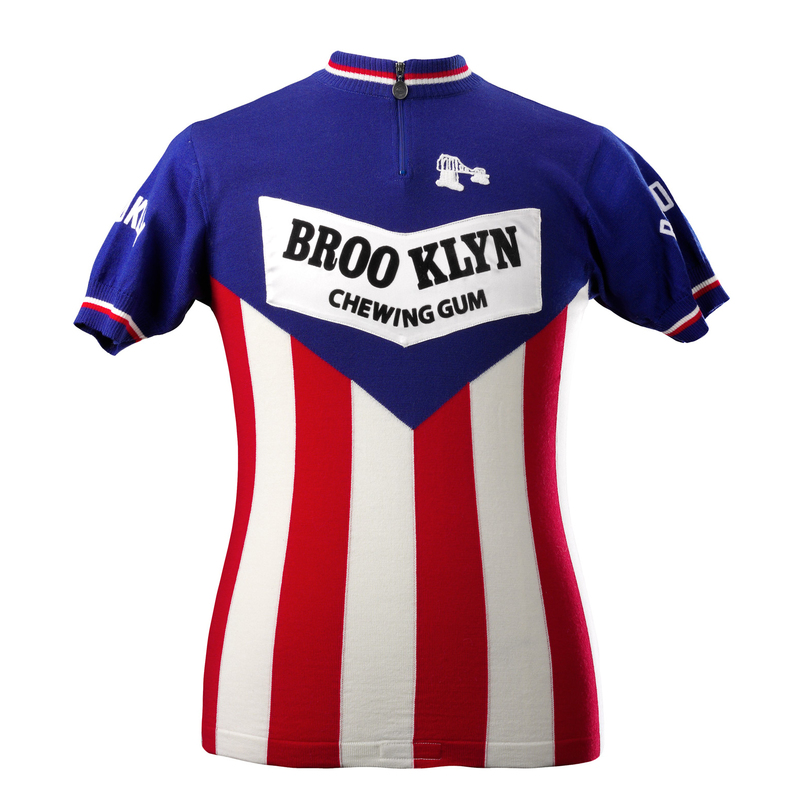 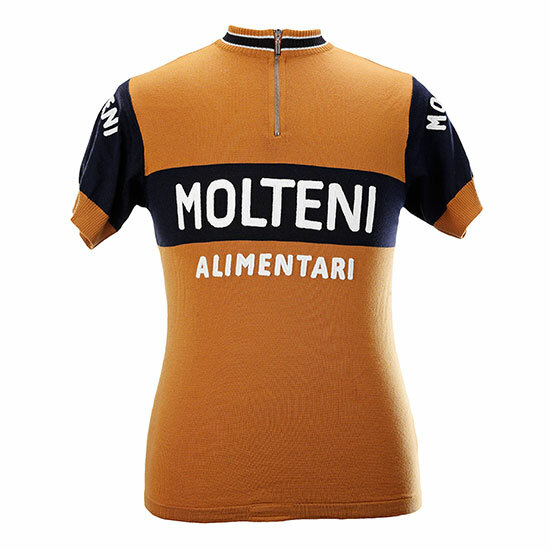 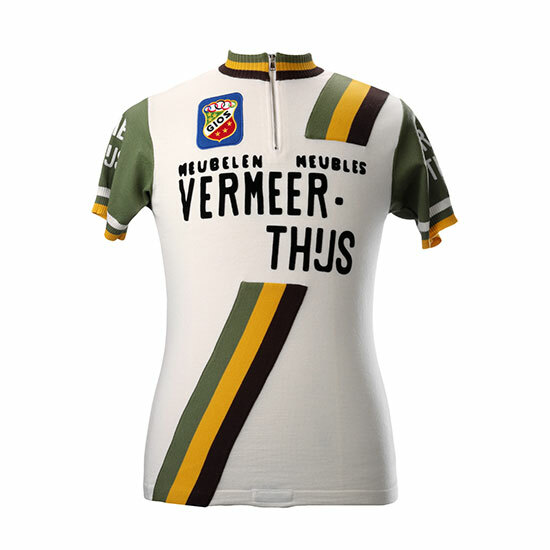 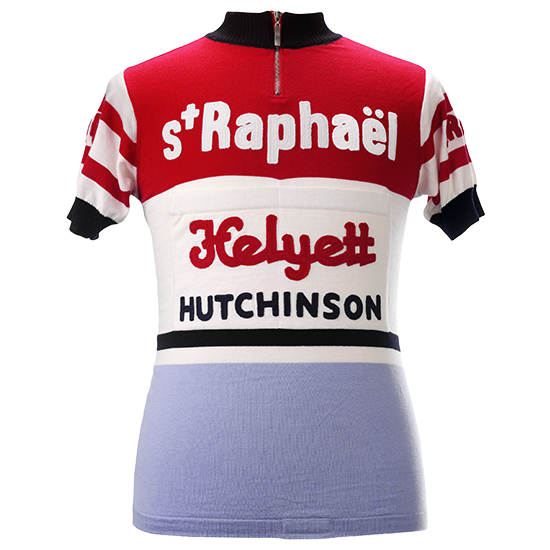 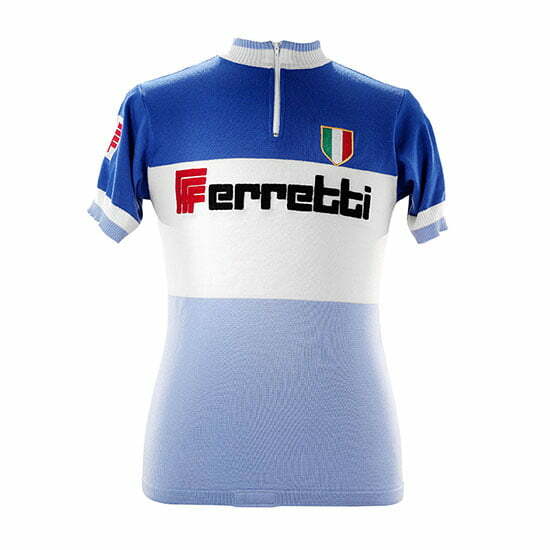 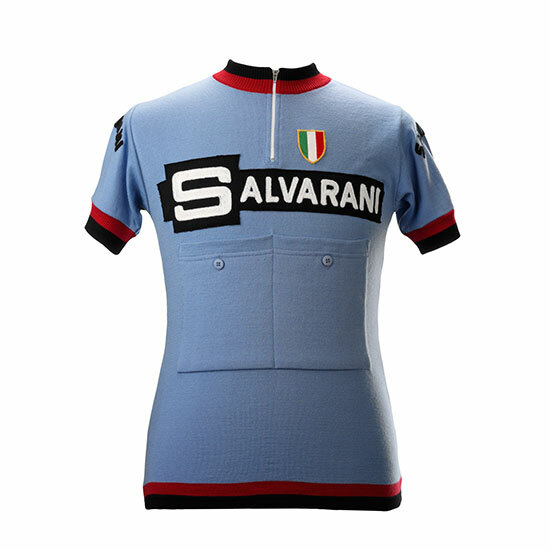 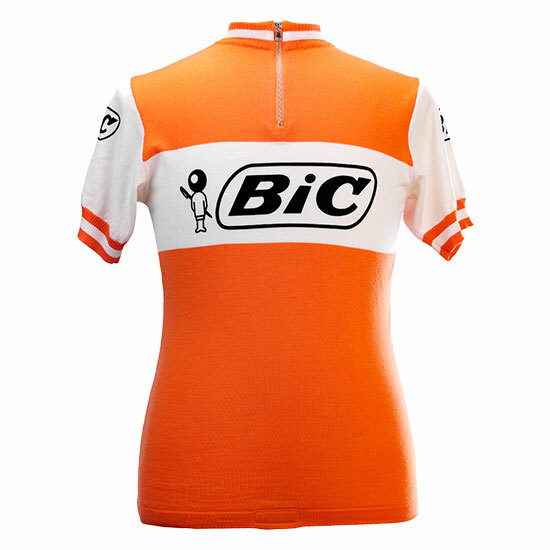 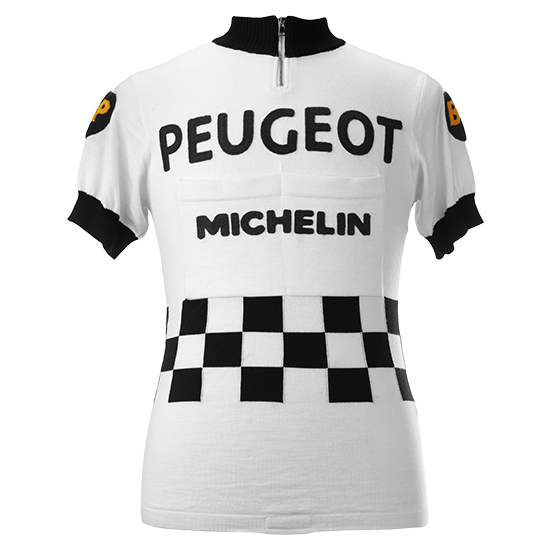 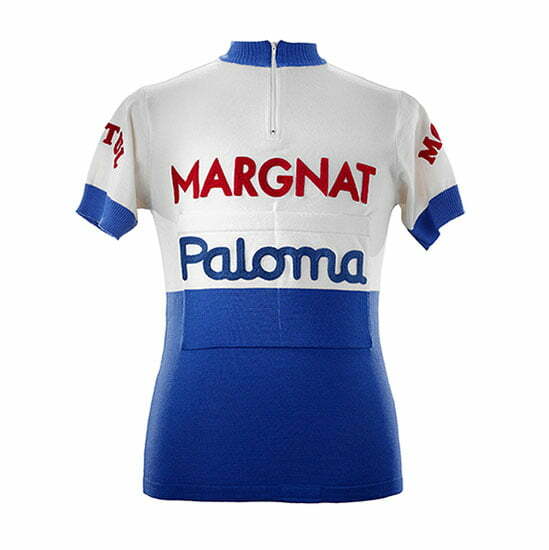 Even more impressing is that he led the general classification from start till finish, so he remains the only rider that ever wore this special jersey, wearing it during each stage of that Giro.